If you grew up in a household like mine, you might have heard the saying, “Belief kill and belief cure.” My mom, tender hearted as she was towards her children, let us know in no uncertain terms that we could make ourselves better if we believed we were already getting better. Sure, she would put a BandAid on the wound but in order to get better, you had to believe you were getting better. So minor stomach complaints were treated with superficial rubs and kisses and cuddles. And a promise of a treat later. Episodes of the common cold were treated with a little rest then an invitation to shake it off and get back in the game. In most of our childhood ailment cases, the “belief cure” treatment worked. A little belly rub doesn’t do much to cure a stomach flu or indigestion. Thinking a cold is over doesn’t make you stop sniffling. And believing your cut would heal itself didn’t speed up the recovery time, did it? So what really made us get better? Jo Marchant explores this in her book, Cure: A Journey Into The Science Of Mind Over Body. Chances are you’ve heard about the placebo effect – people who think they are getting a pharmaceutical treatment, experience the benefit of the drug even if only a fake dosage is given. Research suggests that when the patient thinks they should be getting better, they actually get better. Interesting stuff, right? Now I’ll take you one step further. Have you heard about the “nocebo” effect where the brain conjures up an negative situation and the body experiences the adverse symptoms associated with it. It happened in Afghanistan when a group of students thought that they had been poisoned and got sick as a result of somethings that hadn’t happened – some students even fell unconscious despite not actually having come in contact with poison. They weren’t faking. They just thought they should be sick so they were. 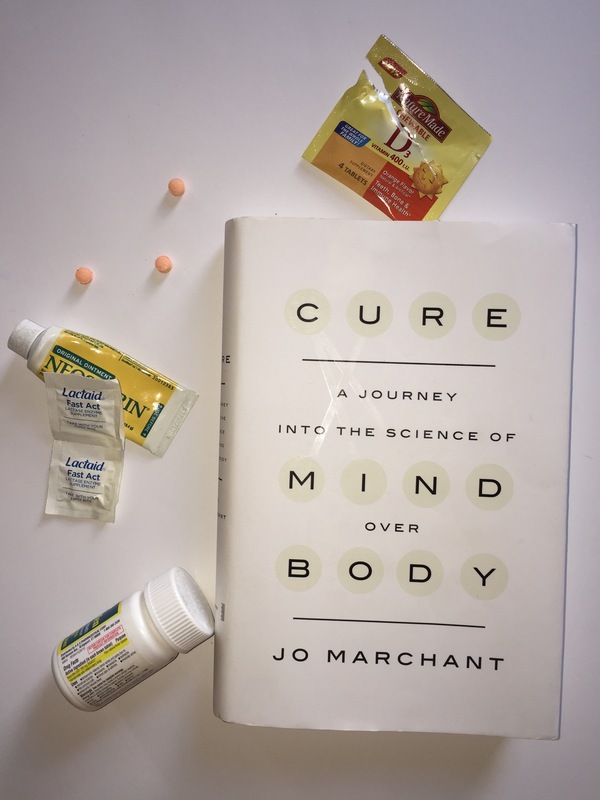 The fact that Jo Marchant is a doctor makes Cure an even more fascinating read because she’s not necessarily advocating for doing away with pharmaceuticals and practicing hypnosis in its place. Instead, the book is an objective study of what each field brings to the healing place. Like other books of this genre, the arguments are presented as case studies and research findings but the retelling of the individual stores is very Gladwell-esque in its delivery. While I am sure Ms. Marchant has her own personal bias, the writing has a very journalistic tone, which makes it readable and engaging. Read this book if you’re a science aficionado and curious about how the brain controls the body; if you’ve ever wondered how to self-heal; if you’re in medical school or already a doctor and wondering how drugs help people and whether doctors can do anything to improve the likelihood that a drug will help a patient; if you’re just thinking about weaning yourself off your own prescriptions; or if you’re thinking about how you can harness all your brain power to live the healthiest possible life. 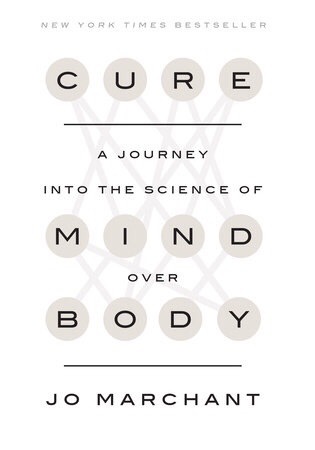 In order for me to do this review, Blogging for Books gave me a free print copy of Cure. However, after just the first chapter, I started recommending this book to my friends – it’s that good. This sounds like a really interesting book, I’ve got a place to study pharmacy at university the next academic year so I’m really into this stuff! The Placebo effect is something I love reading about because whilst growing up my parents would always tell me you’re thinking up the symptoms, you’re not actually ill, and me as a dramatic child I always argue what do they know they’re not doctors. Turns out they’re right! It shows how powerful we can be on the road to recovery! Sounds like a really interesting read! I might just check this out!